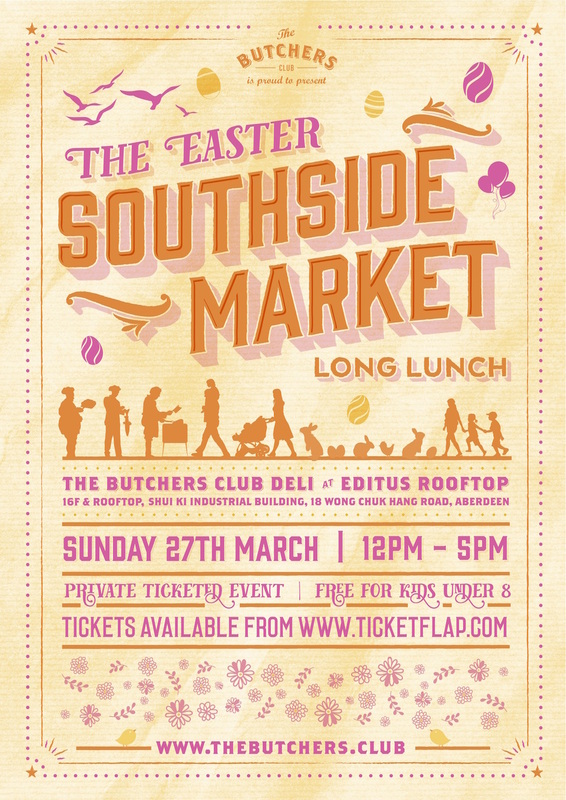 For a fun-filled Easter-themed affair, and to venture out of the city to the Island South, there’s nothing better than Butchers Club’s special Easter Southside Market Long Lunch on 27 March, from 12pm – 5pm. Located on the 17th floor rooftop of The Butchers Club’s 14,000 square foot, two-floor event space called The Deli, the Southside Market Long Lunch is unlike any other market in the city. The delicious Easter lunch menu—which will satisfy both meat lovers and vegetarians—includes a whole spit-roasted rosemary and black olive lamb, barbecued hanger steak, an Easter ham served three ways, a vegetarian frittata station, various chickpea-, quinoa- or roasted root vegetable- based salads and, of course, a dessert station. Along with The Butchers Club’s special Easter-themed menu, there will be a number of hand-selected partners, including wines by Links Concept, Lavazza coffee, Peroni beers, Print House, GDG Asia Pacific, Rebel Girl’s vegan doughnuts, Tai Tai Pie Pies and many more. There will be live music performances throughout the day, competitions and drinking games for the adults. For the little patrons, expect endless entertainment including an Easter egg hunt, face painting, an Easter egg painting booth and Egg & Spoon Races, as well as a mini cinema downstairs on the 16th floor for kids looking for a little downtime. Tickets are priced at HK$550 per adult and HK$250 per child, and can be purchased through both Ticketflap (http://www.ticketflap.com/southsidemarketlonglunch) and The Butchers Club’s Online Store at http://goo.gl/ZbeRl3, with free entry for kids under the age of 8. Patrons must purchase a ticket to attend the Southside Market Long Lunch, which will give them unlimited trips to the cooked food stalls and complimentary beverages all day. The unique and attractive Freeform Tent by Event Canopies Asia has the event covered in case of bad weather. And if the tent isn’t enough, the market will be moved downstairs to the 7,000 square foot event space on the 16th floor—the very same floor the freezing, yet sold out, Australia Day Southside Market was held due to it being the coldest day in Hong Kong in almost 60 years. 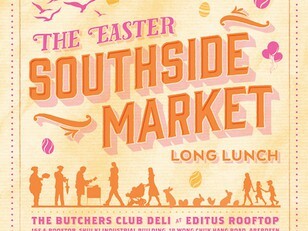 So no matter the weather, the Southside Market Easter Long Lunch is going to be an event you don’t want to miss.